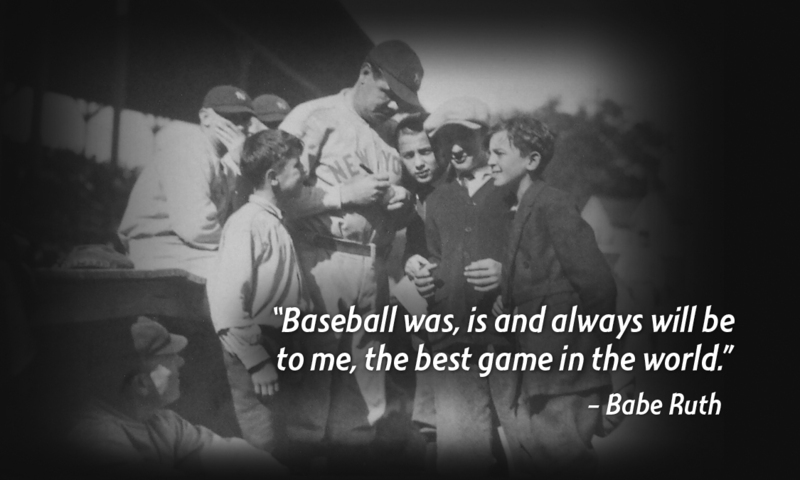 I have been asked a lot lately, why baseball? We all have a love for something whether it’s fishing, hunting, hiking, football, bowling, knitting or collecting things. It’s something we enjoy doing in our spare time. It all ties back to that moment in our lives where we feel whole again, even if it is just for a short while. Have you ever walked into a library or book store and picked up a book you once read as a child and suddenly had a flood of memories? Have you ever heard a song on the radio that took you back in time to that first moment you heard it? That is what I feel when I am at a baseball game. I remember those moments in time where it all began. I look back to those early days when I was exposed to the sport. I can still remember my very first major league games I attended and the feeling of excitement and happiness I had during those moments as I entered the stadium. It was a warm summer day in June 1975; the Milwaukee Brewers took on the California Angels in a doubleheader. My dad and I had seats on the third base side of County Stadium. I focused on, George “The Boomer” Scott playing 1st base and Robing Yount, the 19 year old shortstop for the Brewers, I don’t remember how the games ended up in my memory but “The Boomer” went 1 for 4 in the first game and 1 for 5 in the 2nd, Robin went 3 for 5 in both games as the Brewers split the doubleheader with the Angels. The Boomer wore a hard helmet when he played the infield and I loved that he went against the norm and how Robin was so young, watching him and the way he played and how I wanted to be like him. While the memory has faded over the years and I only remember minor pieces of it, I will never forget the feeling from that day. The awe of County Stadium and seeing all those people coming together to watch a game, looking up and seeing Bob Uecker and Merle Harmon talking to all those listening to the game on the radio at home, as I had on so many occasions. It was a moment of realization that this was my church, my home, my place of completeness. From that moment forward, I wanted to be here. Of course, as we all know, there comes a realization when we grow up that we are not all going to be the next Reggie Jackson or Derek Jeter of our sports, but I dreamed and believed I could be there and when that dream died, I lost the excitement for something that once gave me so much hope and inspiration. It was not until recently that I rekindled my romance with Baseball and ignited those feelings. I realized that maybe my calling back in 1975 wasn’t to be a major league player or even a minor league ball player, but to be the spectator of the game, not just the teams I root for but for the entire fan experience.